These muffins have become my go to for the last couple of months because my kids love them and they don’t require any kind of special ingredients. Plus, I’m making tons of applesauce lately so it’s a great way to use up some of that homemade goodness. 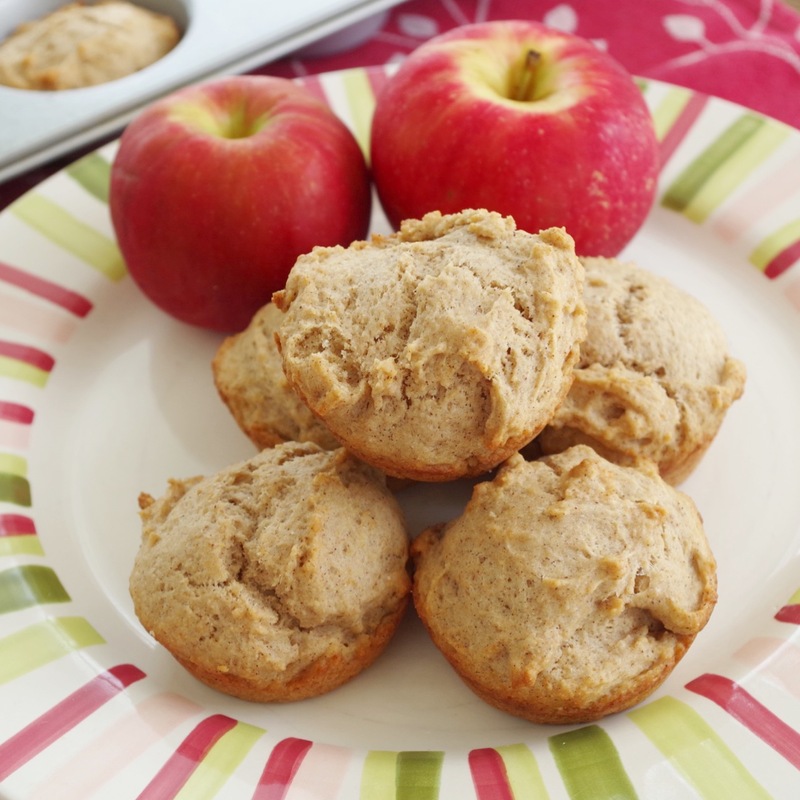 Muffins are one of my favorites for a quick breakfast. Just add an easy protein like scrambled eggs and your good to go. 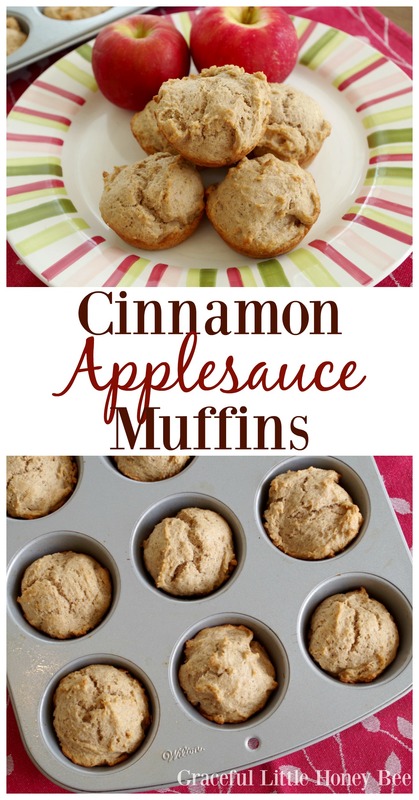 I hope you enjoy these easy and delicious Cinnamon Applesauce Muffins as much as we do! In medium mixing bowl, combine flour, sugar, cinnamon, all spice, baking powder and salt. In another mixing bowl, combine oil, vanilla, egg and applesauce. Add wet ingredients to dry ingredients mixing until just combined. Spoon batter (it will be thick) into greased muffin tins. Bake at 350 for 20-22 minutes. Ohhhh I can't wait to make these muffins! I haven't used applesauce in my muffins so this will be something new. There are a few gallons of homemade sauce in the pantry waiting to be used. Thanks for sharing the recipe! We had these for supper recently along with lentil soup. They certainly are not very sweet and I required a dab of jam on mine! I made them with half whole wheat; half unbleached flour. The flavor was good and I think next time I will add 1/3 c. of brown sugar and a tad more applesauce. Thank you for sharing this recipe!